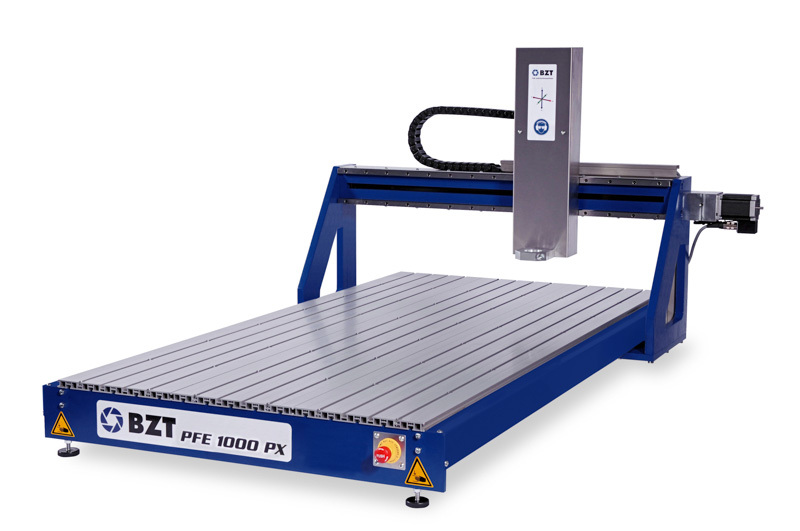 The PFE machines are the ideal way to start industrial production, especially developed for milling, engraving and the manufacturing of prototypes as well as for the advertising technics. Linear guidings of Bosch and ball screw spindles in all axes ensure precise milling, the rugged steel construction ensures a vibration-free operation even at high speeds. In this price range the profitability and efficiency make the PFE to an absolute bestseller.